Create A Sparkling Home For The Holidays With Bona! Let Your Holidays Sparkle This Year With Beautiful Hardwood Floors! With Thanksgiving and Christmas right around the corner, I am anticipating a house full of guests. While I’m prepping for meals, parties and going shopping, I’m also trying to make sure my home looks sparkling clean. This time of year gets hectic and cleaning can get put off because it can be so time consuming, but when I have a simple, but deep cleaning system like Bona, it’s one less thing I worry about. Bona is the one brand I can count on to make my hardwood floors clean and protected, even when I strapped for time. It leaves my hardwood floors exceptionally clean every time with very little effort. It’s so easy, my kids even love to help me! Bona wants to make sure your home is holiday ready, so don’t forget to add it to your shopping list! I use the Bona PowerPlus Hardwood Floor Deep Cleaner and Bona PowerPlus Microfiber Deep Clean Pad to get the most out of my cleaning. I spray the Deep Cleaner and mop with the Microfiber Pad as I go. This is also great if I need to do a quick spot mop in a small area. With two toddlers, there seems to always be a little mess to clean. 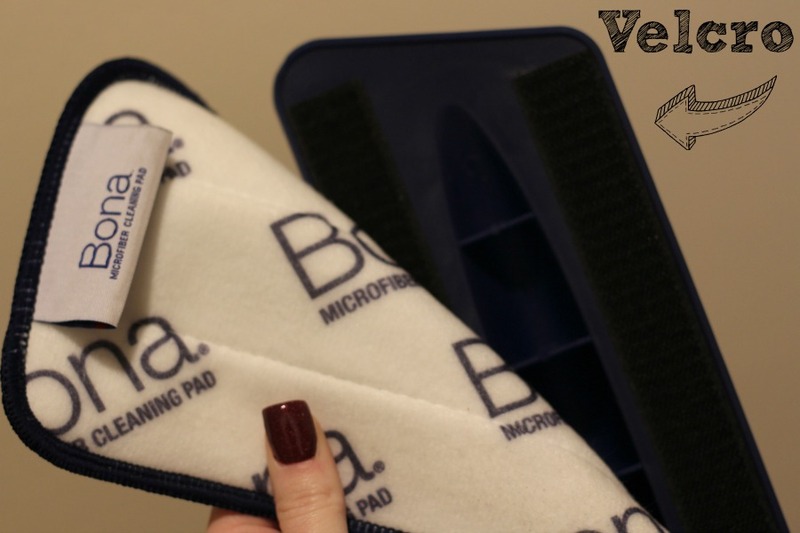 The velcro makes taking the pad on and off super simple, and makes it easy to clean the pad when needed. 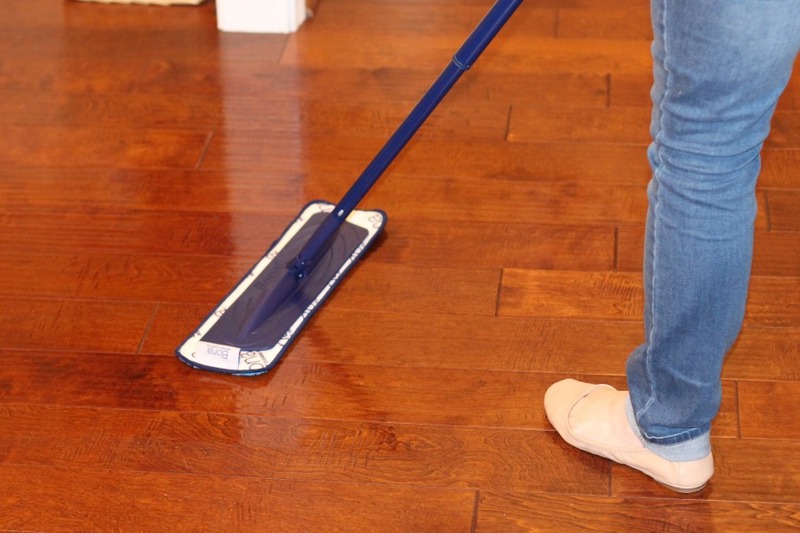 Bona PowerPlus Microfiber Deep Clean Pad performs 70% better than other hardwood floor cleaners when paired with Bona PowerPlus Hardwood Floor Deep Cleaner. The unique patent pending PowerLoop technology gently breaks apart and loosens tough dirt build-up, while the dual zone microfiber traps dirt away. So while you’re running around trying to get ready for the craziest time of year, don’t let keeping your hardwood floors clean get you down! The ease of having the PowerPlus Hardwood Floor Deep Cleaner in a spray bottle makes cleaning more efficient, making more time for family time. I know my home will be sparkling this holiday season, will yours? For Holiday Cleaning Tips, Click Here! That wood floor looks brand new!! Doesn’t even look walked on! Simply gorgeous! Two of my daughters have hard wood floors throughout most of their homes! Thank you for sharing! I will too! I would love to try the PowerPlus Microfiber Deep Cleaning Pad. Bona seems like a wonderful product for floors. I would love to have my hardwood floors look so good! 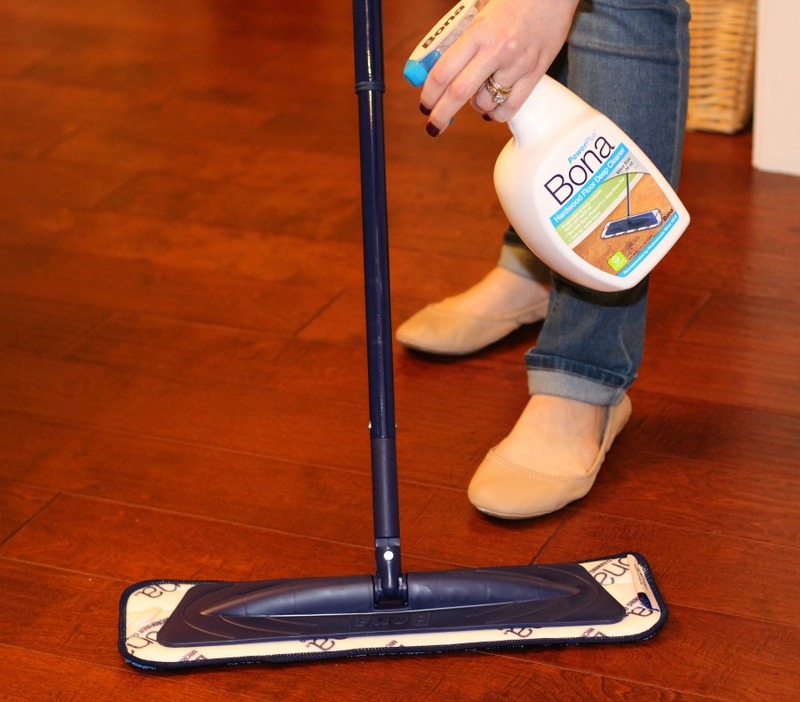 I use the Bona floor cleaner for laminate floors and absolutely love it. No streaking whatsoever. Bona products are the best I’ve found. 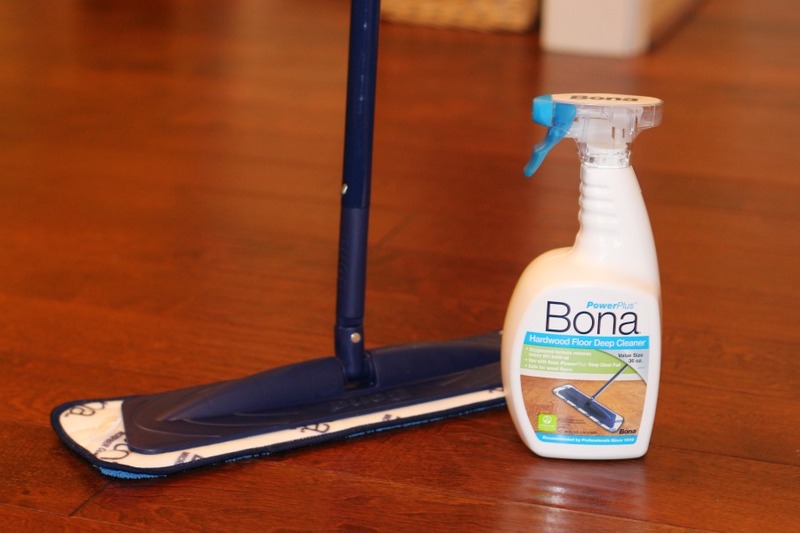 Bona is my go to cleaner for my ceramic and laminate floors. It is only only cleaner that I have found that doesn’t streak on my laminate wood flooring. I already use this for my hardwood floors and it works very well and I like how easy it is. Sounds fabulous!! I LOVE microfiber on floors!! Such a great clean and picks up everything so easy!